So you've signed up for a class, eh? Of course you did; that's what the cool kids do! Anyway, there's some info I'll need so that I've got everything ready for you. Be a doll and fill this out for me, wouldja? Thanks boo. If you'd like a figured top, I can do that for ya! It will be glued up and on the body blank before class. NOTE: Wide body shapes like the F-Bird and Exp may be higher as it can be a bit harder to source pieces wide enough. You can choose to design your own headstock (no trademark infringement). If you prefer, you can use one of the headstocks designed specifically for class use. If you want to design your own, that's great! I'll need a sketch of it at least 6 weeks before class starts so that I can make a template for you to use (and take home with you). We use laminated maple necks in class with a 10 degree angled peghead. Fretboards are 12" radius and slotted before class. Other radii are available at an additional $20. We keep it simple in class; we use dot inlays only. 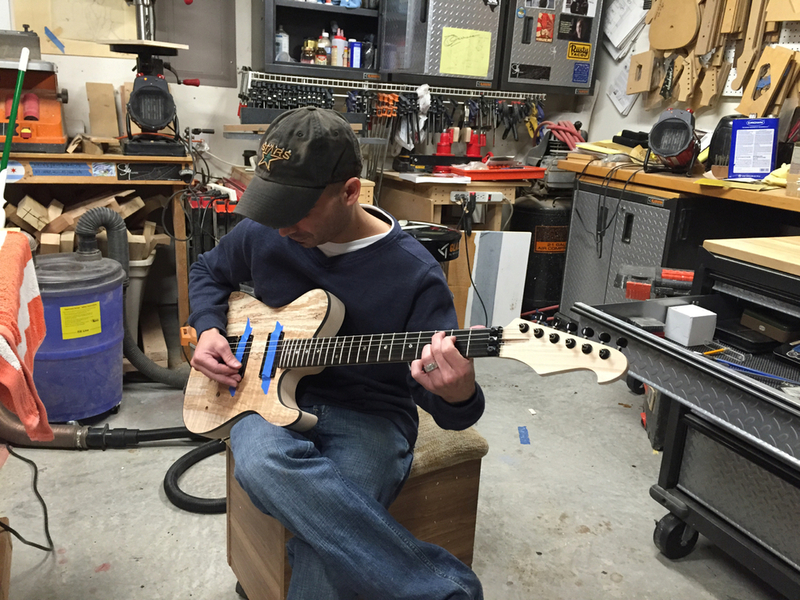 You have your choice of a standard, traditional layout, offset, your own dot pattern, or no inlays at all. If you want to make your own dot pattern, please let me know in advance. If you have hardware already, you're free to bring it with you. If you don't, I'm happy to put hardware packages together for you; just ask! Yes please! Nah, I'm good. Tip from your pal Sully; don't bother adding locking tuners if you've got a locking nut, unless you just can't live without them. By default, we'll use Hipshot tuners for class. If you want something else, lemme know. If you've got your own pickups, you're welcome to bring them. If you'd like to try Habanero pickups made by Grover Jackson (that's what all Sully guitars come with), you'll save a little dough. I do not have agreements with other pickup companies, though, so if you want Duncan, Dimarzio, EMG, etc, you're best picking them up online and bringing them with you. If you'd like to try some Habaneros (you should; they're awesome), lemme know the configuration you'd like. What color Habaneros would you like? Sanding builds character! It also counts as cardio. super-T with the class issue six in line headstock. what a sweetie! 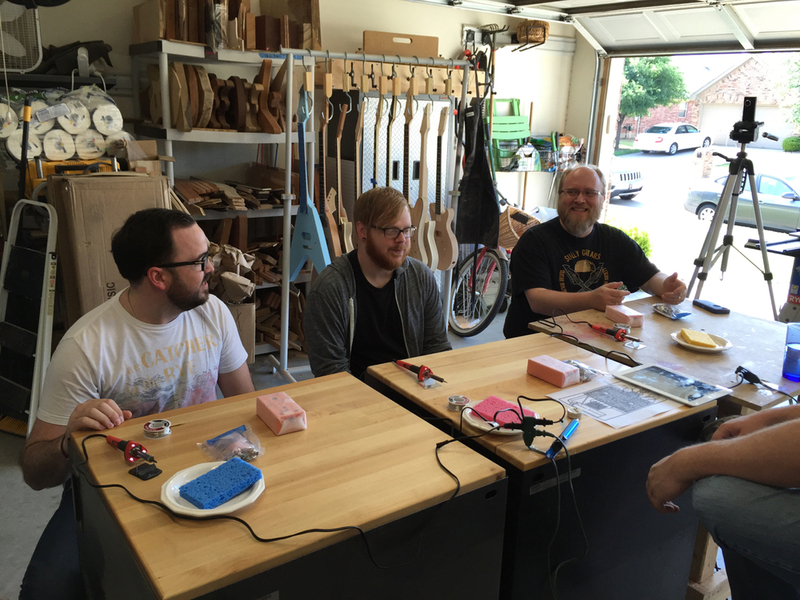 Pedal building class is about to begin!